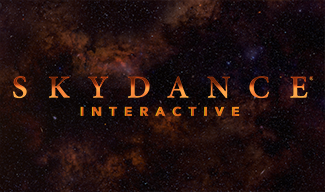 Santa Monica, CA – May 3, 2016 – Skydance, a diversified media company that creates elevated, event-level entertainment for global audiences, today announced that it has acquired leading game developer The Workshop Entertainment, Inc. and launched Skydance Interactive, LLC, a dedicated subsidiary that will create and own original video games and virtual reality experiences. The acquisition provides Skydance Media with the capability to vertically integrate its intellectual property across the feature film, television and interactive platforms. The company will self-publish and digitally distribute Skydance Interactive titles for the leading VR hardware, including Oculus, HTC Vive and PlayStation VR. While The Workshop will continue to offer its robust console game services, this transaction allows the company to evolve into a leading-edge virtual reality developer as Skydance Interactive. The Workshop was launched in 2008 by the co-founder and original members of Treyarch, which sold to Activision in 2001 and now leads the Call of Duty franchise. Peter Akemann co-founded Treyarch in 1995, where he oversaw the development of the company’s cross-platform graphics engine. He has shipped over 20 titles across first, second and next-generation platforms. Chris Busse, General Manager of The Workshop, helped Peter lead the expansion of the Treyarch team from 3 to over 200 employees. Their combined experience spans the breadth of acclaimed franchise games such as The Evil Within, Armored Warfare, Free Realms, Medal of Honor and Spiderman, among others.